Diagnose first and treat Optimally! receive unwavering attention, meticulous care and be treated as our family. This includes "state of the profession" anesthesia, dentistry, oral surgery, pain management and post operative monitoring. You will not need to worry because we will accept this responsibility. If the need arises for referral to another specialist, you will be appropriately advised. At our Milwaukee offices (Glendale and Greenfield), we have board certified emergency and critical care, internal medicine, surgery and medical oncology specialists (at the Glendale office) as part of our professional team. In Oshkosh, we function in a rural setting; however, we have state of the art equipment and services. Additionally, Dr. Kressin works with the area specialists at the Fox Valley Referral Center in Appleton. Dr. Kressin and Dr. Honzelka have an extreme passion for dentistry, oral surgery and pain management for companion animals. This is an area of the veterinary profession that has historically been inadequately addressed, misunderstood and seriously under stressed. The great news is that our profession is constantly growing and improving. 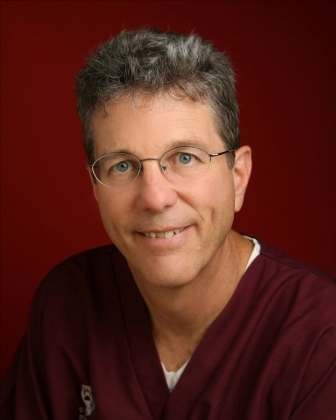 Dr. Kressin is proud to have added Dr. Honzelka as our second board certified veterinary dentist to our dedicated team. Dr. Kressin is dedicated to be a major part of the solution for these less emphasized or deficient areas of the veterinary profession. 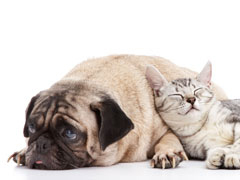 Your dedication to resolving your pet's problems will be shared by our dedicated team. Dr. Kressin's life mission is to be of service to you, your pets and your family veterinarian or any other specialists. Animal Dentistry and Oral Surgery Specialists, LLC serve, Wisconsin, Michigan, Illinois, Iowa and Minnesota. Dr. Honzelka shares the excitement of Dr. Kressin and the team. You can count on us to listen, communicate and to care. and speaking skills. Dr. Kressin enjoys public speaking and provides presentations for veterinarian and public associations. If you have a group that needs a speaker, feel free to contact Dr. Kressin at 920-233-8409 or 888-598-6684 or Dale@vin.com. Continuing education can be scheduled at veterinary hospitals. for scheduling and alternately at Dale@vin.com . Dr. Steve Honzelka DVM, DAVDC is a 1999 University of Wisconsin-Madison graduate veterinarian. Dr. Honzelka came to our practice after we treated his own dog "Bogie" with an oral tumor. 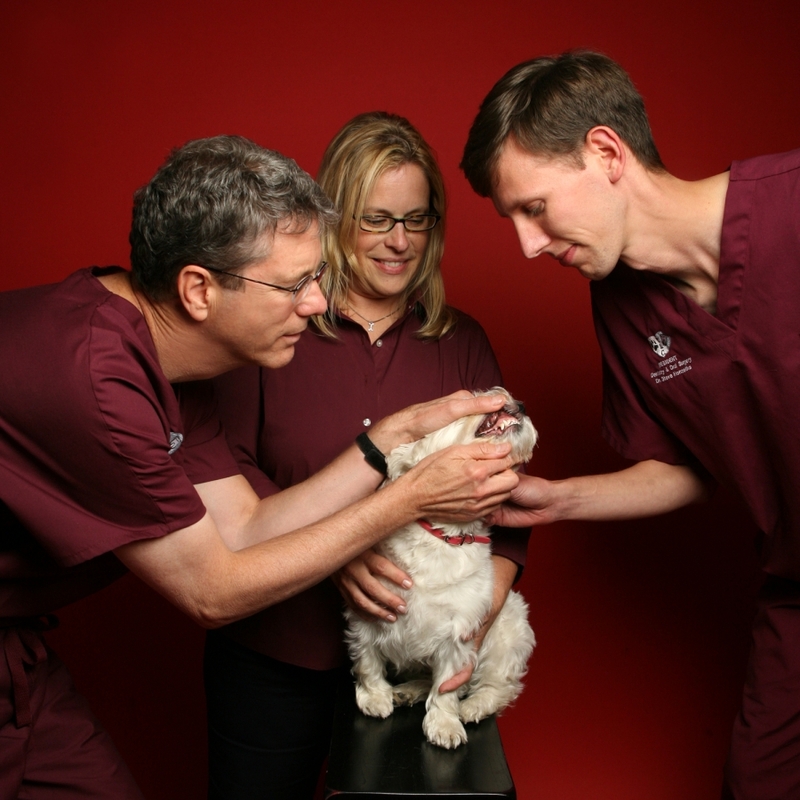 His passion for veterinary dentistry and oral surgery developed from this experience. He has completed his dentistry and oral surgery training program with Dr. Kressin and is now also a board certified veterinary dentist.